I hope these blog entries on Monday mornings help kick start your week. One of the reasons we started JFashionista was I wanted something fun and motivational to do and look forward to on a Monday morning. I always get motivated when writing these articles and I hope you feel the same way reading them. Your mindset will determine how you view your day, and in most cases, your point of view will determine the outcome. “You become what you believe,” I always say. We all suffer from some level of self-doubt. Positivity is productive, doubt is destructive. I started blogging so late in the game, but watching Ellen DeGeneres’ message on affirmation one day made me believe I could do it. Just keep swimming. 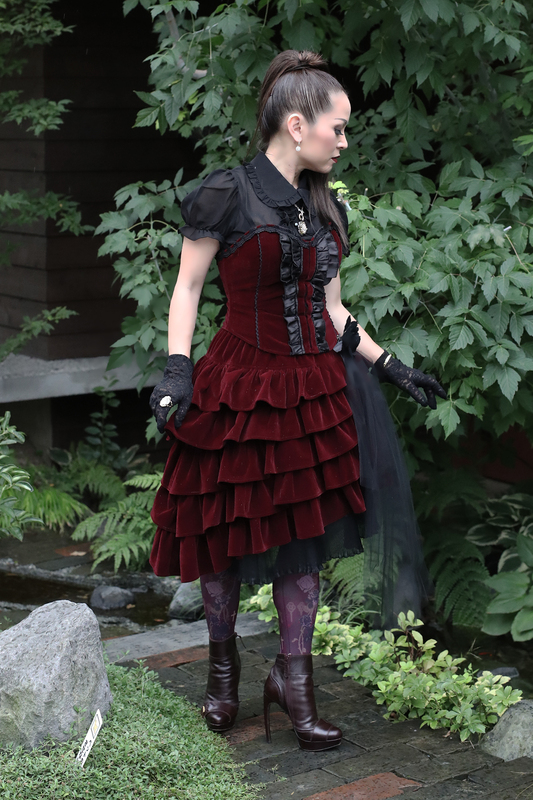 This morning I’m excited for many reasons: I get to show you two new, stunning designs by Putumayo which I absolutely love, I get to announce Putumayo as a Brand in our 2017 Fashion Show and (so exciting about this one) Sakurako and Hasegawa as Guests playing Alice and The Mad Hatter respectively. 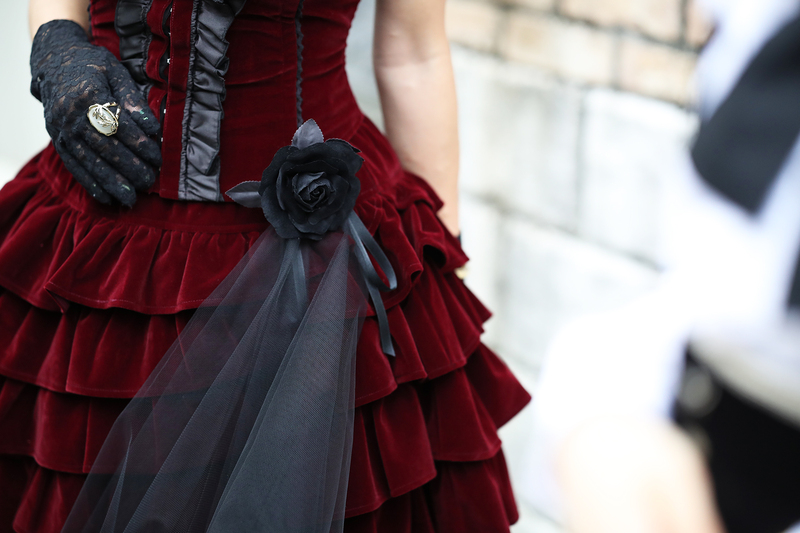 Sakurako is wearing a lace up pleated jumper skirt and I’m in a velvet frill bustier and skirt. 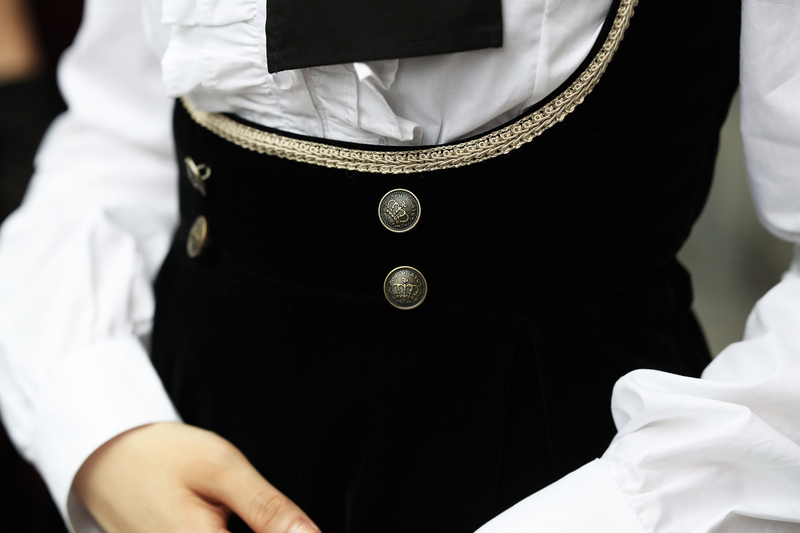 The heart and soul of Putumayo lies in the passion and skill of Brand Manager Katsuta and Chief Designer Shunsuke Hasegawa. They have inspired me for years. I’m a big fan of Hasegawa’s artwork. I collect them. Although very shy in real life, he is a big fan of Alice in Wonderland. So fitting, he will play The Mad Hatter in the 2017 Fashion Show. I hope to see everyone there on April 7th! 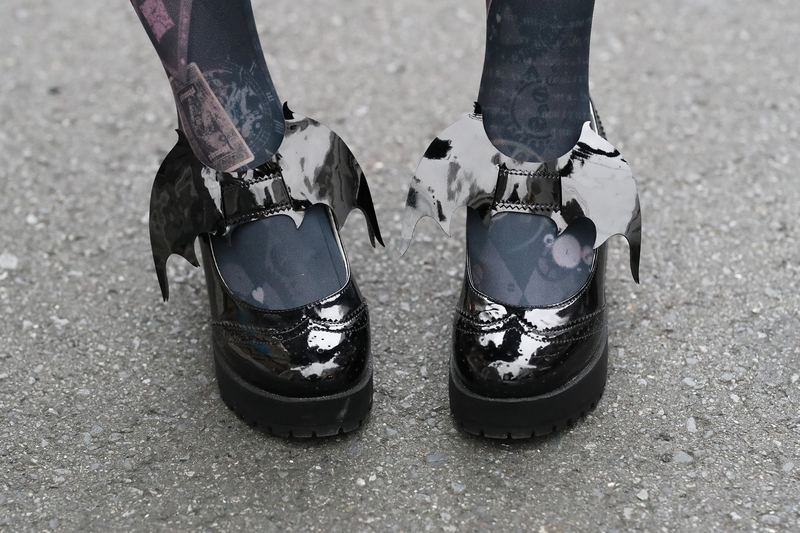 Separator image Posted in Fashion and tagged with Harajuku, Putumayo, Sakurako. Very excited that PUTUMAYO is coming! Can’t find the words to describe how happy I am:) I absolutely love Hasegawa’s artwork! You can really feel the energy and love that are put into all of their designs. Love the velvet ensemble! And love the detail on the dress Sakurako is wearing! I’m always happy to hear and see that Putumayo is in the show. Hasegawa-san and Katsuta-san are sweet as can be and I’m so excited to see their brand in action! And Hasegawa-san is going to be the Mad Hatter?? How perfect!!! I can’t wait to see him on the stage! I always love the confidence you bring in your photos~ They always inspire me! I’m beyond excited about Putumayo coming!!!!! I just fell in love with Hasegawa-san design and brand. I can’t wait for him to take the stage as the mad hatter!!! I am extremely excited for next year show! Hasegawa-san is always a delight to be around and his personality is so infectious! Putumayo was one of the first brands I started with and fell in love with so i can’t wait to see him on stage!! Also, lovely outfits from Putumayo 🙂 i always love the dark, punk/gothic aspects of their designs. There is always something so whimsy and you can definitely see he draws inspiration from Alice in Wonderland. Putumayo is always and will always be my favorite! Glad to see them back this year! Hasegawa designs always speak to my heart and give me so much extra confidence. I can’t wait to see Hasegawa as the mad hatter!!! Might fall in love with him even more then! I also can’t wait to meet Sakurako! ❤I’m so pumped now! So in love with the new designs Putumayo has created. So glad they are coming back for the fashion show in 2017. Gives me more excitement to actually sign up to be an model for the fashion show. Hasegawa-san and Katsuta-san did it again with making these designs. Love both of the outfits, but really excited on the dress Sakurako is wearing since it’s perfect for a casual setting. Deniece looks stunning in that outfit. I bought that coord when I was over in Japan. I couldn’t stop looking at it. Now, to buy the shoes. I’m slowly becomimg a fan of Putumayo. I have 3 coords by him. 😀 Just beautiful!